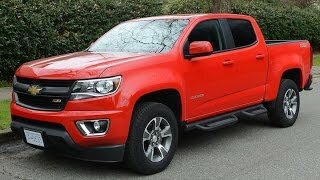 Chevrolet has unveiled the all-new 2015 Chevrolet Colorado, built with the DNA of a true Chevy truck with class-leading power. 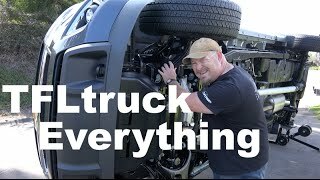 Designed for the North American truck customer, it comes with distinctive design, comfort and connectivity features, including segment firsts such as available forward collision alert and lane departure warning. 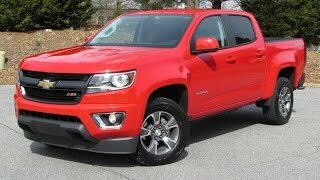 The new Colorado features triple-sealed doors, for improved aerodynamic performance and a quieter interior. The Colorado features a segment-first aluminum hood along with active aero grille shutters. It also features a gunmetal grille surround – a change from the chrome standard on the other models – projector headlamps and unique 17-inch aluminum wheels. The interior of the 2015 Colorado is designed to be comfortable, is cleverly equipped and well connected. It comes with a bold instrument panel with large instruments and a center console with a floor-mounted shifter. Also included is a sculpted headliner that enhances headroom, halo lighting on key controls for easier view and an open area at the front of the center console. 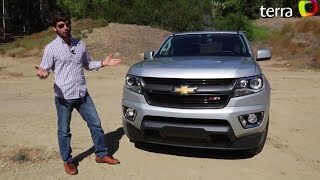 The 2015 Chevrolet Colorado is powered by a 2.5L I-4 engine estimated at 193 horsepower (146 kW) and 184 lb-ft of torque (253 Nm) and the 3.6L V-6 engine estimated at 302 horsepower (224 kW) and 270 lb-ft of torque (366 Nm).